For the 15th consecutive year, Getty Images will continue its support of the world’s best up-and-coming creative talent competing in the Young Lions Competition. SINGAPORE, 10 June, 2012 – For the 15th consecutive year, Getty Images will be sponsoring and supporting the Young Lions Competition at the Cannes Lions International Festival of Creativity, 17 – 23 June, 2012. The competition encourages the world’s best talented, young creative teams to produce an award-winning campaign, competing against the clock. Getty Images will be the exclusive content provider for the competition, enabling contestants to draw from its broad range of creative, editorial, archival and music collections, to help them produce inspiring and award-winning work of their own. 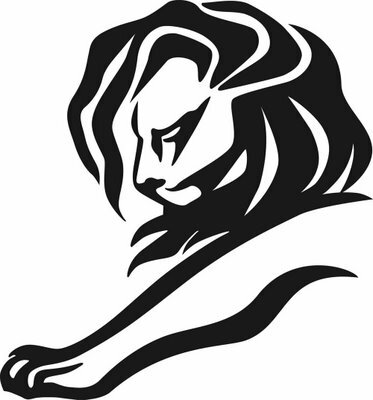 As well as supporting the Young Lions Competition, Getty Images is sponsoring the lounge area of Cannes Also’s ‘Play, Make, Master’, a joint initiative by branding agencies The Brand Union and Lambie-Nairn, with cold refreshments, ice-cream and a photo booth. ‘Play, Make, Master’ showcases the skills of experts including world leaders in stop frame animation Aardman, renowned balloon artists Airigami and Certified Lego artists Bright Bricks. Taking place daily at 2pm in the Getty Images lounge area, the company is also offering a master class on mobile photography, including tips and tricks on how to capture the best image on what is regarded as a growing platform for producing reputable photography. The Cannes Also initiative, established in 2011, was created to celebrate the wider role of creativity in our industry. Delegates will also have the opportunity to attend one-on-one sessions with Getty Images’ creative trends experts at a beach-side venue, to discuss visual branding in communication, visual trends in technology and photography, or any subject in the creative sphere that is of interest. There are six competitions that take place during the Young Lions Competition at the Palais des Festivals, which fall under the following categories: Print, Cyber, Film, Media, Young Marketers and for the first time in 2012, Design. Each competing team is briefed by a not-for-profit client to create and execute a campaign within 24 hours (within 48 hours for Film), meaning that teams work under intense pressure, around the clock. The Young Lions competition is open to advertising professionals up to 28 years old and participating teams, comprising of an art director and copywriter, or two marketers in the case of the Young Marketers competition, are selected through a pre-selection process in their own country, with the winners attending Cannes Lions. Click here for more information on the Young Lions competition. Getty Images is one of the world’s leading creators and distributors of still imagery, video and multimedia products, as well as a recognized provider of other forms of premium digital content, including music. Getty Images serves business customers in more than 100 countries and is the first place creative and media professionals turn to discover, purchase and manage images and other digital content. Its award-winning photographers and imagery help customers produce inspiring work which appears every day in the world’s most influential newspapers, magazines, advertising campaigns, films, television programs, books and Web sites. Visit Getty Images at www.gettyimages.com to learn more about how the company is advancing the unique role of digital media in communications and business, and enabling creative ideas to come to life. Additional information on how Getty Images inspires and powers communications can be found on The Getty Images Blog at blog.gettyimages.com as well as on Facebook at http://www.facebook.com/GettyImagesSoutheastAsia and Twitter at www.twitter.com/gettyimages.com. This entry was posted in Featured Photography Merchants, Photography Articles & Videos, Uncategorized and tagged Getty Images. Bookmark the permalink.